Sony US18650VC3 2000mAh 10C discharge (high Power cell) . Electric bike battery pack and other battery packs. Existing stock for short delivery time. 1. When using the application equipped with the battery, refer to the user’s manual before usage. 2. Please read the specific charger manual before charging. 3. Charge time should not be longer than specified inthe manual. 4. When the cell is not charged after long exposure to the charger, discontinue charging. 5. Battery must be charged at operating temperature range 0 ~ 45°C. 6. 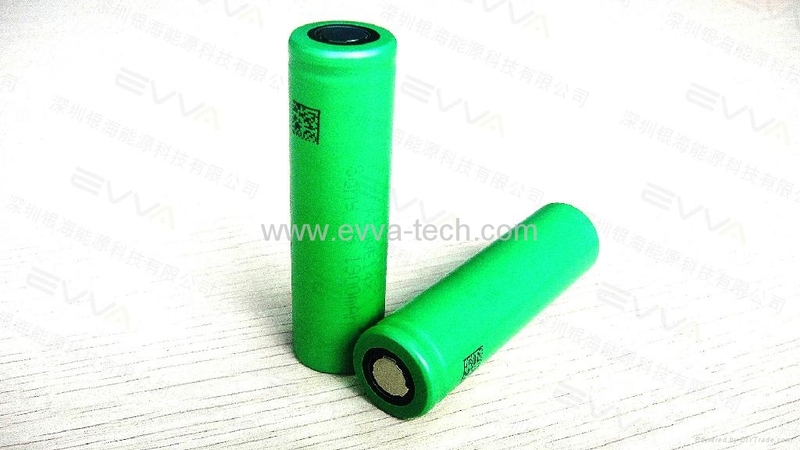 Battery must be discharged at operating temperature range -20 ~ 60°C. 7. Please check the positive(+) and negative(-) direction before packing. 8. When a lead plate or wire is connected to the cellfor packing, check out insulation not to short-circuit. 9. Battery must be stored separately. 10.Battery must be stored in a dry area with low temperature for long-term storage. 11.Do not place the battery in direct sunlight or heat. 12.Do not use the battery in high static energy environment where the protection device can be damaged. 13.When rust or smell is detected on first use, please return the product to the seller immediately. 15.When cell life span shortens after long usage, please exchange to new cells.